CF&I Limestone Loader that was located at Monarch Pass. 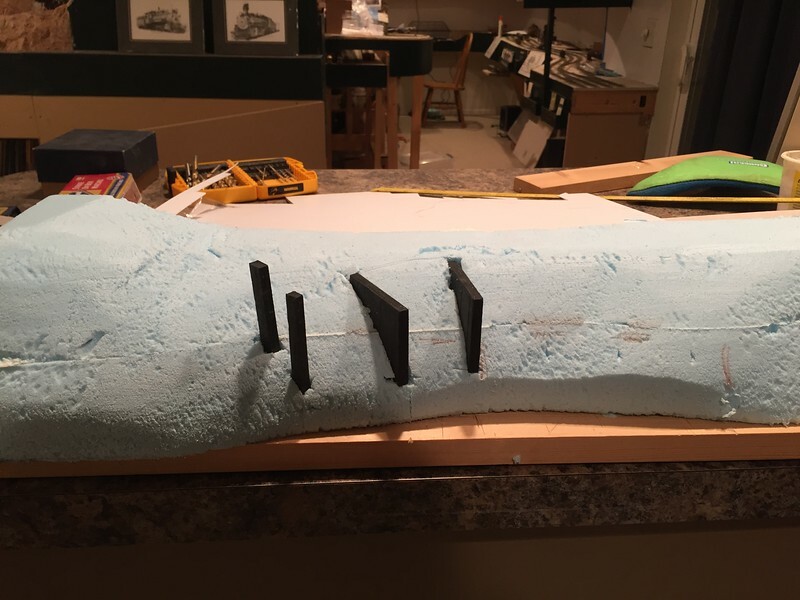 The foam has been shaped, and is now ready for concrete piles to be built. Again, from the pictures I noticed things were constructed a bit different then I had previously thought. The piles are made from thick styrene and distressed. Then they are installed in the location needed for the wood bridge coming.